More and more designers are being inspired by the ancient stone's striated smoothness. Here are five recent examples from our archives. Solid Patterns is a collection of marble tables by Dutch husband-and-wife team Scholten & Baijings. Studio Job uses marble for the first time in an unusual collection of “roadwork-inspired” furniture presented at Design Miami/Basel 2014. 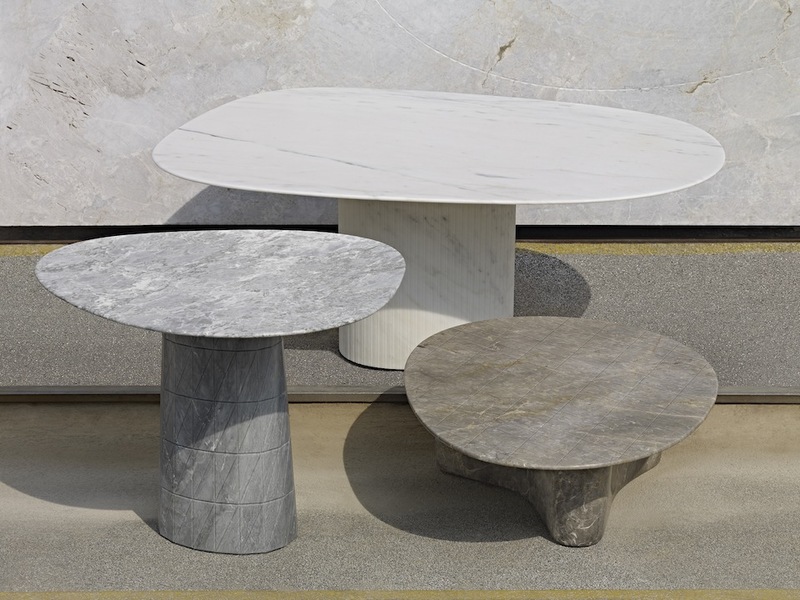 Scholten & Baijings collaborated with Italian marble producer Luce di Carrara to create a collection of tables inspired by the stone’s colours and markings. See these and other recent designs by them here. 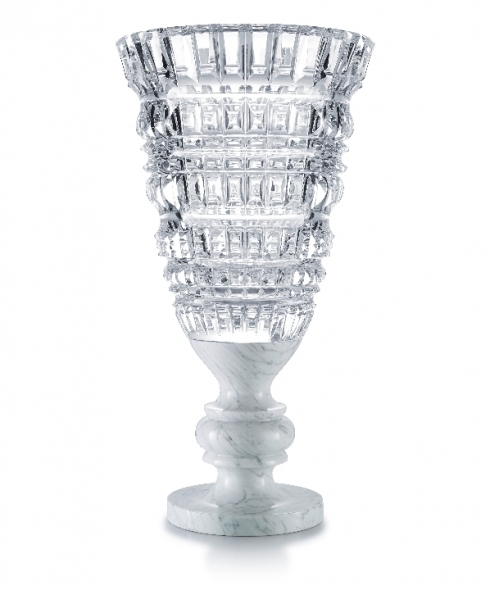 Marcel Wanders combines crystal and marble in a classic new vase for Baccarat. Read about their collaboration here. 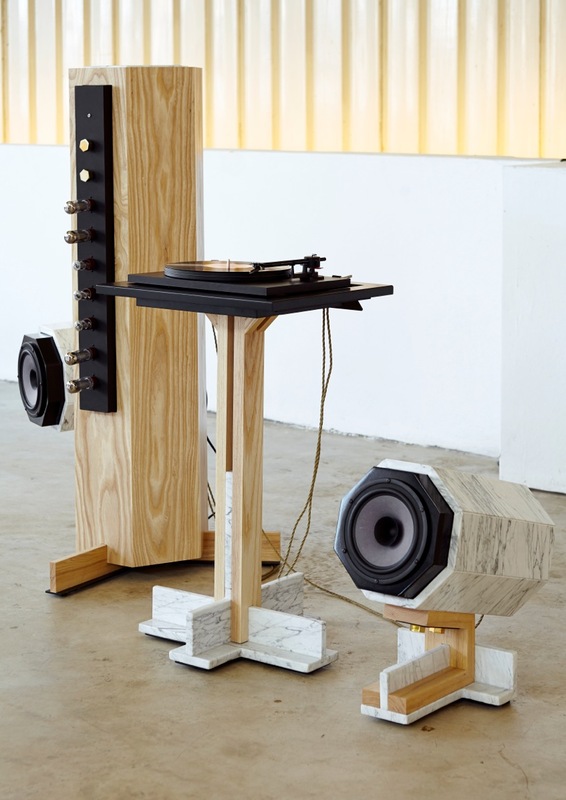 Sonolith, an audio system incorporating wood and marble by Joe Paine, breaks all the stereo types. 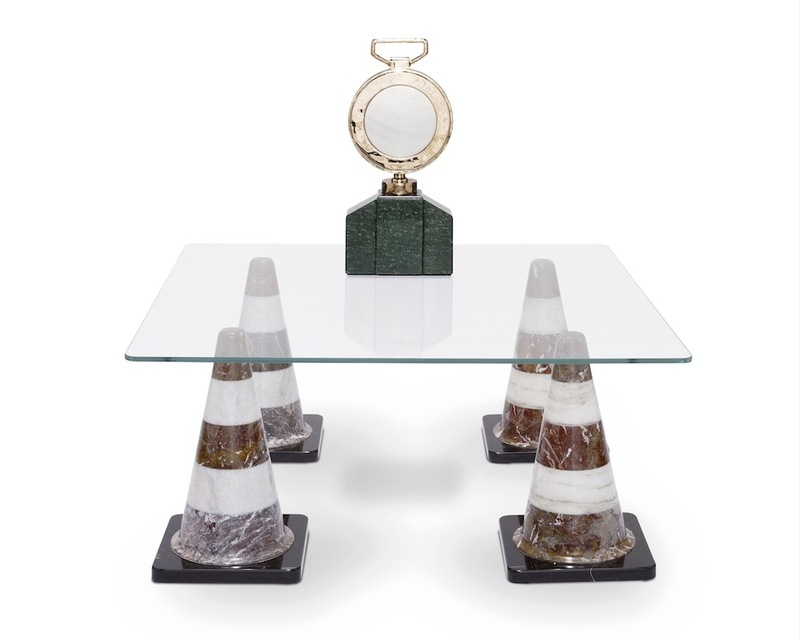 Read about this unusual collaboration here. 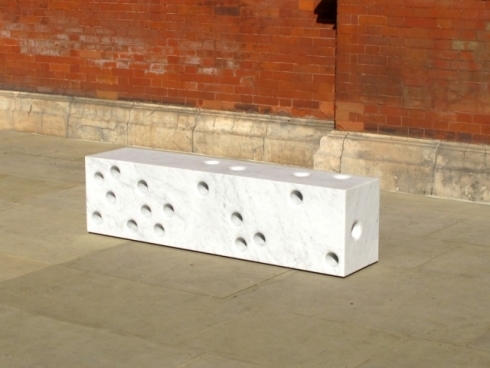 BarberOsgerby’s bench utilises the permanence of marble to create a new type of street furniture. See what inspired it here.